The pulse emitter consists of a waterproof container in which is housed a reed-switch. 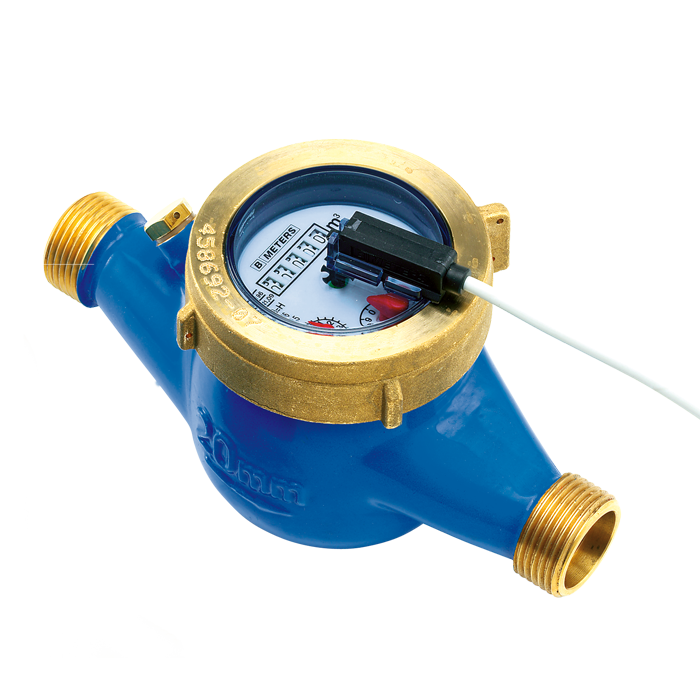 This emitter can be installed on single jet meter, multi-jet, Woltmann and tangential meters provided they are prepared according to the number of liters/pulse required by the Customer. The emitter can be wired to a totalizer, a solenoid valve or to a radio transmitter for remote consumption data reading. The preparation consists in the mounting of a magnetic hand instead of normal hand used to indicate the amount of liters or its multiples on the dial. All packed in a transparent capsule bears in the upper side a guide for the pulse emitter mounting which can be sealed against fraud.